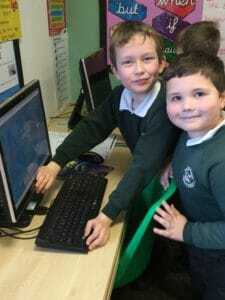 This week we have been taking part in a range of online safety activities. Scroll down to view the activities for each year group. 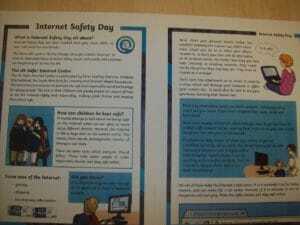 EYFS have been learning about keeping safe whilst using games and the Internet. 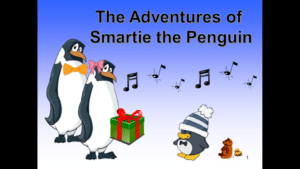 We read the story “The Adventures of Smartie the Penguin”. 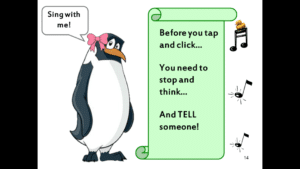 Smartie is a penguin who has to make the right choice when confronted with a number of scenarios when playing games on his tablet. He firstly has to decide whether it is a good idea to click on an unknown pop-up or whether he should ask for help. 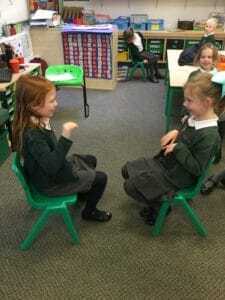 In year three we have been learning about Internet Safety through guided reading sessions. 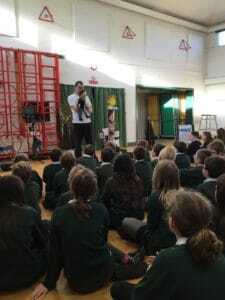 We have been discussing the safe and positive use of digital technology both at home and at school. 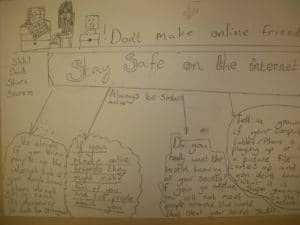 We have been raising awareness of online safety and have made posters to teach others in the school and to show off our knowledge and understanding! Did you know? 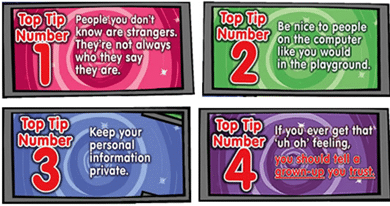 It is illegal for anyone under the age of 13 to have a Facebook account. 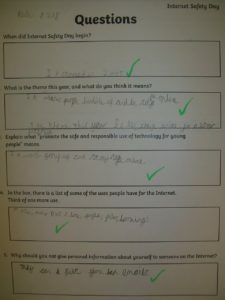 As part of the introduction to Internet Safety Day, Class 10 discussed the positive and negatives of the Internet. 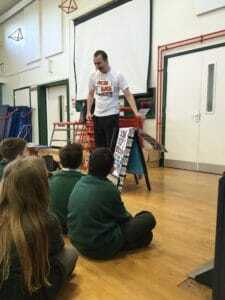 It was a lively discussion and encouraging to know how much the children understand about how to keep themselves safe on line. 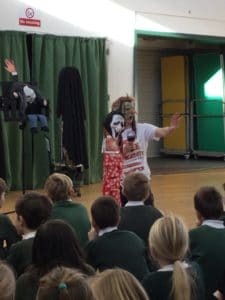 We agreed that the internet is of great value in a wide range of areas from education to just having fun! Therefore, just like road safety, we need to learn and abide by the rules that will protect us. 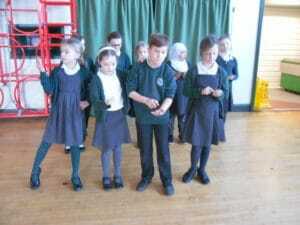 Following the discussion, the children then worked together in groups to rehearse and perform a short scenario about Internet Safety. 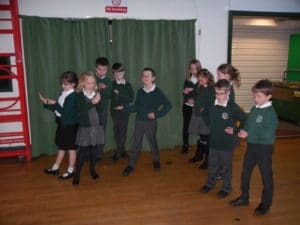 Year 5 wrote and sang their own Internet Safety song. 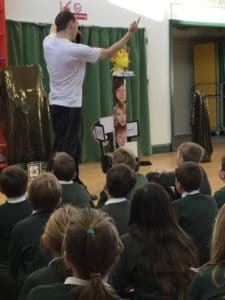 The children worked hard on the lyrics during the course of one lunchtime and we then had just a single afternoon to arrange the song, then learn it and sing it! We hope you enjoy it! 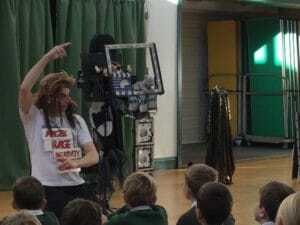 Virtual Reality tells the story of 11 year-old Christopher ‘Chip’ Macintosh who is given a laptop for ‘Big School’. 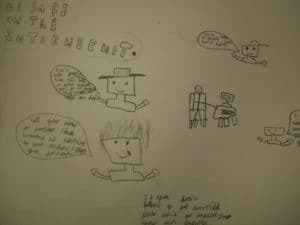 He discovers the computer can talk to him – the Remote Operated Byte (ROB) tells Chip to step into his world of fun, adventure and mystery and discover a whole new world….not the real world.. but VIRTUAL REALITY. 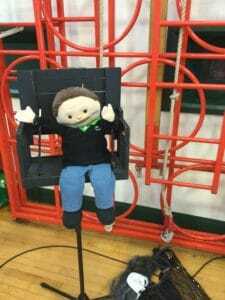 Chip begins a journey down the rabbit hole – like Alice, and before long ‘Happy go-lucky’ Chip is now becoming a moody, cheeky and disrespectful troll with a chip on his shoulder. At the end of the story, Chip discovers the reason the laptop is called ROB was because he was stealing Chip’s childhood. 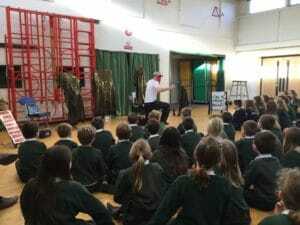 The play is a contemporary fairy tale of how certain social media sites and video games will affect the young mind, without realising the impact on school and home life. 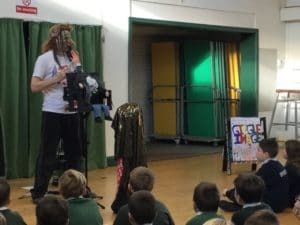 The message behind this tale is when we access these gadgets – we have to make choice…..Control the technology or let the technology control you!